Good sleep is very important for your health. Some people are not aware that the quality of their sleep greatly affects their mood and bodily functions. However, the base that you choose for your mattress may decide the quality of your sleep. 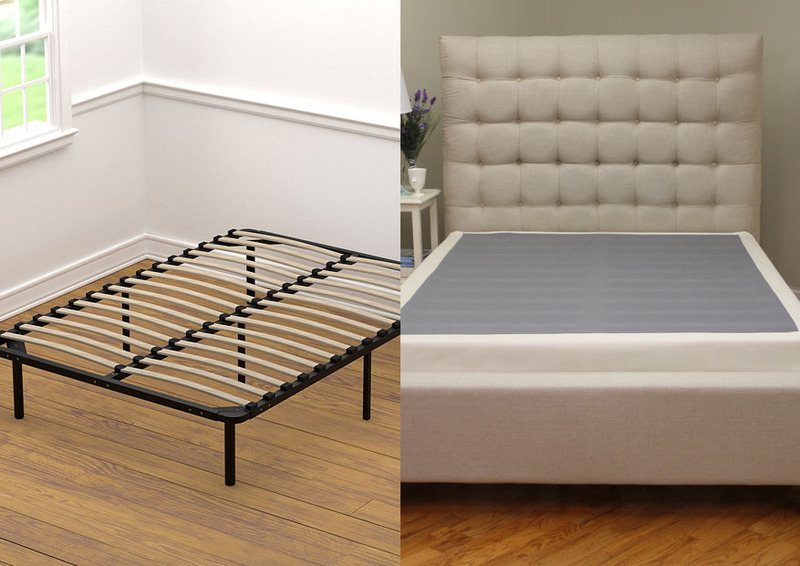 Below, we will help you choose between two popular choices, Slatted Bed Frame vs Box spring. This is one of the traditional mattress bases used around the world. A slatted bed frame is quite simple. It consists of planks of wooden slats with similar width and length that are lined up next to each other. There is some space between one plank and the next. See also: Box Spring vs Foundation. The wooden planks are usually thin yet very durable. These hard, solid planks can hold the weight of the mattress as well as the weight of the sleeper all at once. We have said that they are wooden slats, but the planks actually can be made from other materials such as iron, bamboo, or durable plastic. However, wood is the most common choice. This is because wood is strong, sturdy, and relatively easy to process. The planks of a slatted bed frame are arranged in such a way to prevent the mattress from shifting or sagging. In addition, the planks are also responsible for managing the weight distribution. The planks distribute the weight throughout the mattress so that the sleeper can lie on the top comfortably without sinking or sagging too deeply. You can find some examples of slatted bed frames in Ikea here. Slatted bed frame makes an excellent choice when you want something that is durable to hold your mattress without spending a fortune. Slatted bed frames are very easy to find. You can easily find them in local stores as well as online stores. They are easy to purchase, easy to carry, easy to install, and easy to use. Slatted bed frames don’t require so much material, so their prices are often affordable and budget-friendly. Slatted bed frame is suitable for people who want extra durability but don’t want something that is too heavy. There are tough spring boxes available in the market, but these products are often very heavy. Elderly people and those who live alone will prefer lightweight options, such as slatted bed frames. Also slatted bed frame is easier to install. You can set it up all by yourself. Finally, the gaps between the slats are not for nothing. There is a distinctive benefit from these gaps, which is increased airflow. Slatted bed frame vs box spring promotes the airflow into the mattress, as the bottom side of the mattress is not completely covered up. So, your mattress will be a little cooler and more breathable. Slatted bed frame may become problematic if you don’t secure the slats in place. The slats may move and get shifted by impacts. This issue becomes even more likely if the slats don’t fit the frame perfectly. As the effect, you will get uneven support, and the mattress will start to sag on weird spots. Compared to a box spring, slatted bed frame has less support. Soft foam mattresses should consider an alternative that isn’t slatted bed frame. This is to ensure proper support. Finally, although slatted bed frame is indeed cheaper than some other alternatives, you will get what you pay for. Cheaper slatted bed frames may be more prone to shifting and sagging. They may be not very durable. On the other hand, a box spring is a heavy platform designed specially for a mattress. It usually consists of a wooden skeleton which houses the spring coils for bounce as well as durability. Usually, a box spring is covered in a thin layer of fabric or cushioning. Again, there are various models made from different materials, but the most common one for a box spring is wood. Box springs are thicker than slatted bed frames, so box springs can elevate your mattress higher. Of course, box springs are available in varying shapes and sizes. Modern models don’t really need to be as tall as the traditional models. 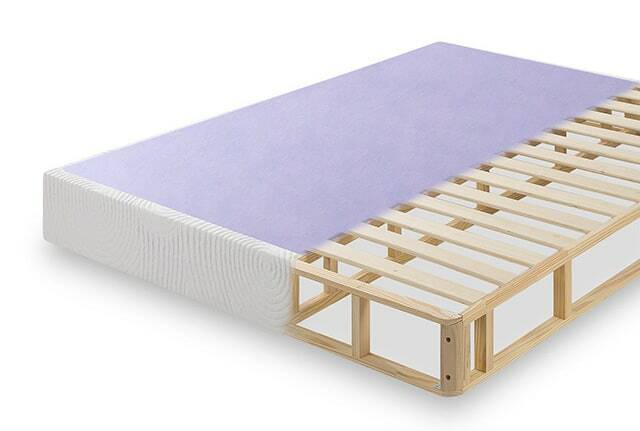 A box spring is a truly great choice for extra lift and support to relieve back pain. It is sturdy enough to hold all the weights of the mattress and sleeper. The relatively more even surface creates a perfect platform to enhance your mattress’s specifications. The coils do a perfect job in creating support and managing weight distribution. A box spring is also great if you need some extra height on your mattress in order to get in and out of the bed comfortably. If your mattress is too low, you will find some difficulties when trying to lie down and stand up. A box spring makes a great solution, as the bounce from the coils also help to assist your movements. Finally, a box spring may be difficult to move around. However, once you set it in place, it will never move. A box spring does not slip or shift around during use. Yes, box springs are bulky and heavy. Moving a particularly large box spring all by yourself is next to impossible. With slats, you can just uninstall them and carry a few pieces repeatedly. With a box spring, you need to lift it all at once. Depending on your preference, a box spring may be too firm. The flat surface from top to bottom is covered by solid, sturdy springs. They will not let you sag into your mattress. If you prefer a softer sleeping surface, a box spring is not the best choice. 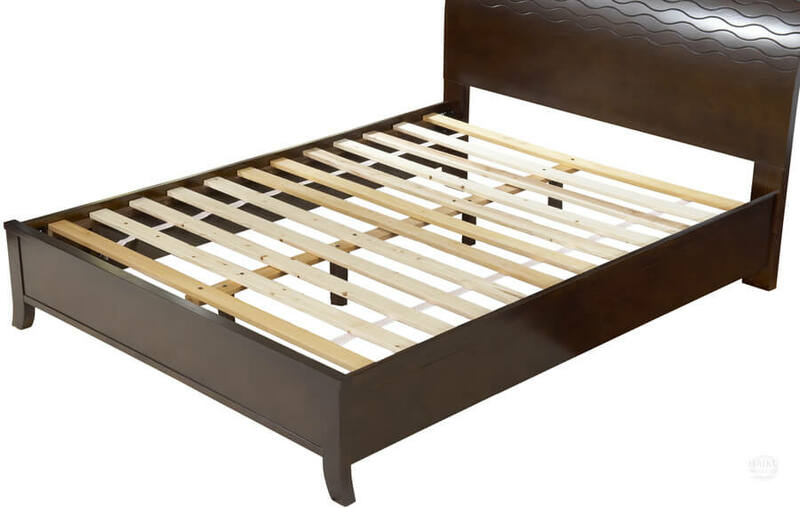 Slatted bed frame vs box spring offer different benefits. In general, a slatted bed frame is better because it is more affordable yet durable. It can improve the breathability of your mattress. It is easier to move and set up. However, certain foam mattresses may require a box spring, and you should also consider a box spring for relieving back pain.